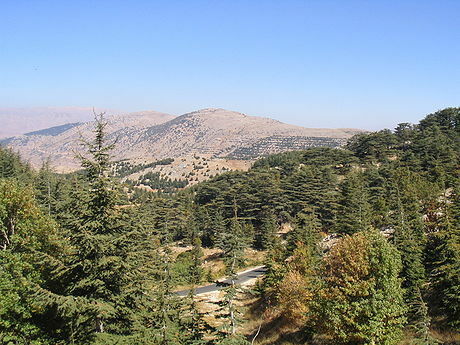 (Rome, 22 March 2019) From the 28th of April to the 3rd of May, the partners of the EduBioMed Project will meet for thematic workshops in Jabal Moussa, Lebanon. This will be an occasion to both discuss the project’s activities and state of play, but also to discover two lebanese Biosphere Reserves. EduBioMed is a project under the Erasmus+ programme Capacity Building for Higher Education. Coordinated by the Universitat Autonoma de Barcelona (Spain) the project aims at strengthening, ameliorating and upgrading academic activity at four Moroccan and Lebanese Higher Education Institutions (HEIs) in the context of Mediterranean Biosphere Reserves (BRs), in collaboration and through networking with Biosphere Reserves’ (BR) stakeholders (citizens, visitors, managers and technicians), public administrations and EU Partners. The meeting that will take place from the 28th of April to the 3rd of May will aim, first, at giving an overview of the activities, of the project’s state of play. and will also be an occasion to become aware of the root of the project through the visits of two natural biosphere reserves, the Jabal Moussa Biosphere Reserve and the Shouf Biosphere Reserve. ‘BR’ is a UNESCO label for territories composing a mosaic of natural protected areas, cultural heritage, human settlements, and land use designations for small-scale, eco-friendly economic activity. The designation falls under the auspices of UNESCO’s “Man and Biosphere” (MAB) program, which aim is to explore solutions for the improvement or relationships between people and their environments on a multidisciplinary scientific basis. It grows the necessity in South Med Region to link countries, universities and territories so that they cooperate in tackling common socio-economical-ecological challenges of the new era. The EduBioMed project aims at aligning higher education institutions activity with territorial needs, innovating their research capacity, promoting their internationalization and openness, enriching their staff’s expertise, enabling mutual learning between stakeholders as well as enhancing its interdisciplinary character. Discover more on EduBioMed Project here and download the draft agenda of the event here.